There is always something to be thankful for! Just like waking up each morning, family and great friends and tacos! Yes I said it and I went there but hey I’m a foodie! I’m seriously so grateful to have gotten to collaborate with Kelli and her amazing boutique, it been fun helping show off some really great pieces! 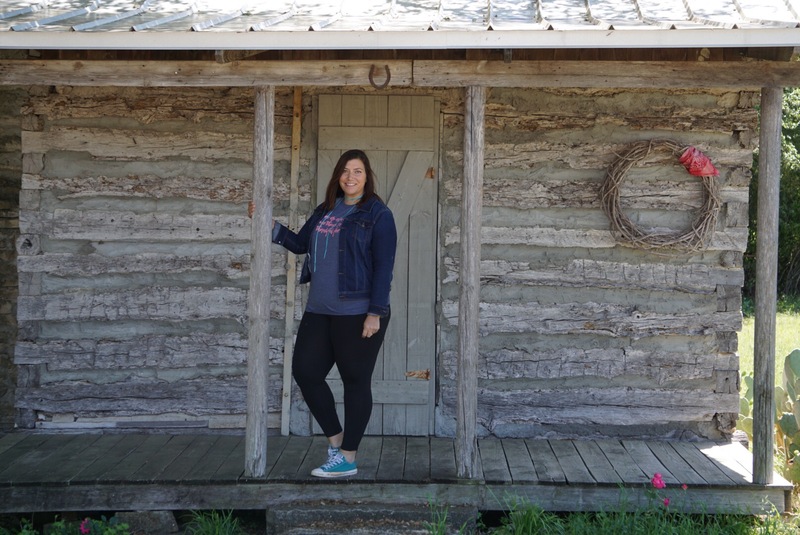 One of my favorite things about blogging is helping show support for smaller businesses and businesses trying to get started. We all need someone in our corner encouraging us and rooting us on and I’m so thankful God blessed me with being in that position! I truly love fashion and all kinds of styles but my favorite would be the one that shows and spreads kindness! A simple smile or uplifting word can make someone’s day if you know them or not! Share the love and kindness and be thankful for those people in your life! Try to never take them for granted and always remind them how much they mean to you! 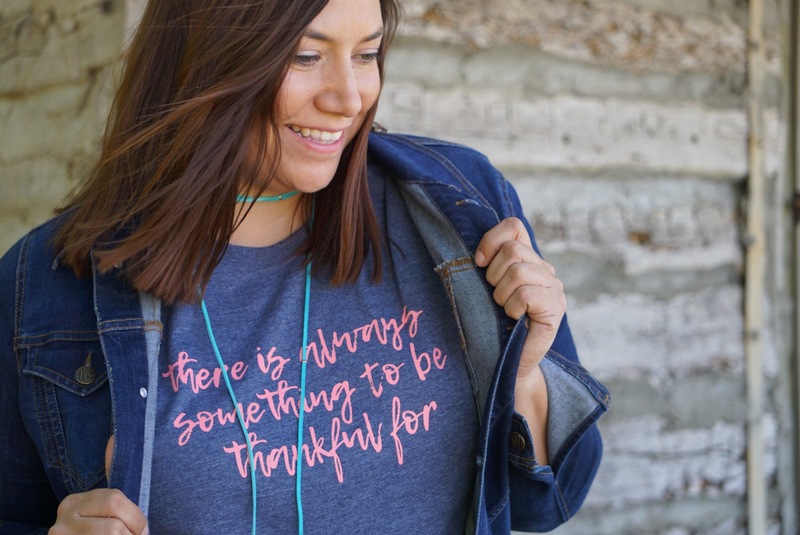 If you ever need a little reminding of this, head on over and get this tee from Follow Your Arrow! So that way when you see it you will have that little reminder to count your blessings because they are so very precious!! Thank you again to the amazing and beautiful Kelli for this months collaboration! Remember if your dreams don’t scare you then dream bigger!! Follow Your Arrow and the path God has for you! Never give up! It’s a new week which means a new Follow Your Arrow piece are you excited I am! This piece is a sure sign spring is here! 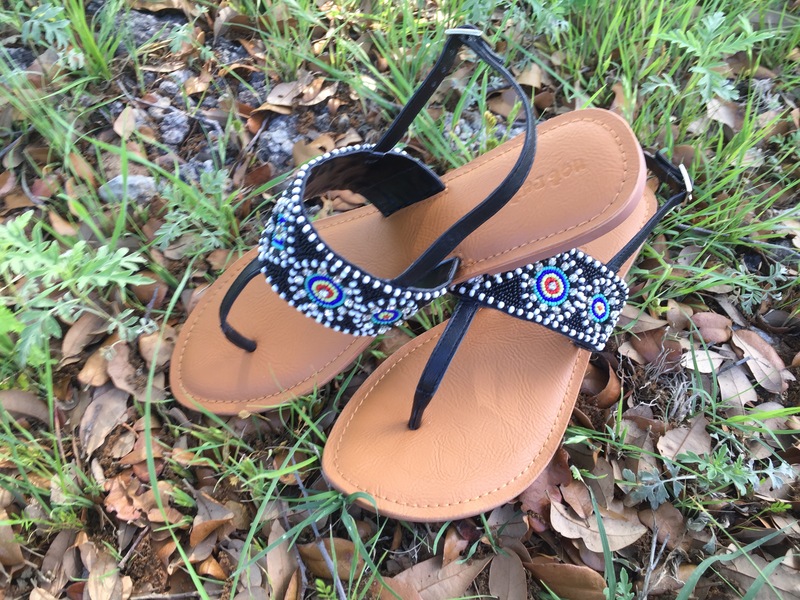 It’s when we trade in those knee boots for a pair fabulous sandals and get our tan feet on! 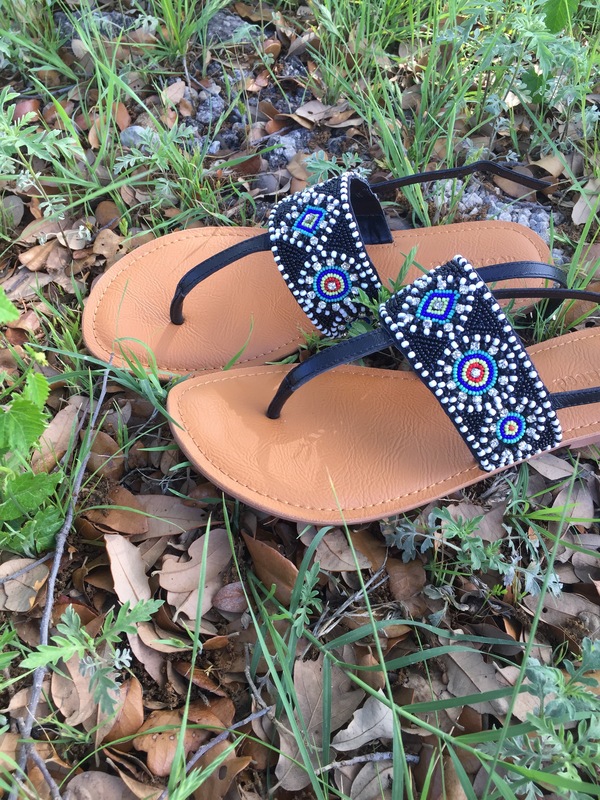 If you are on the hunt for the perfect pair of sandals Follow Your Arrow has your back!! Check them out…. See are you in love? 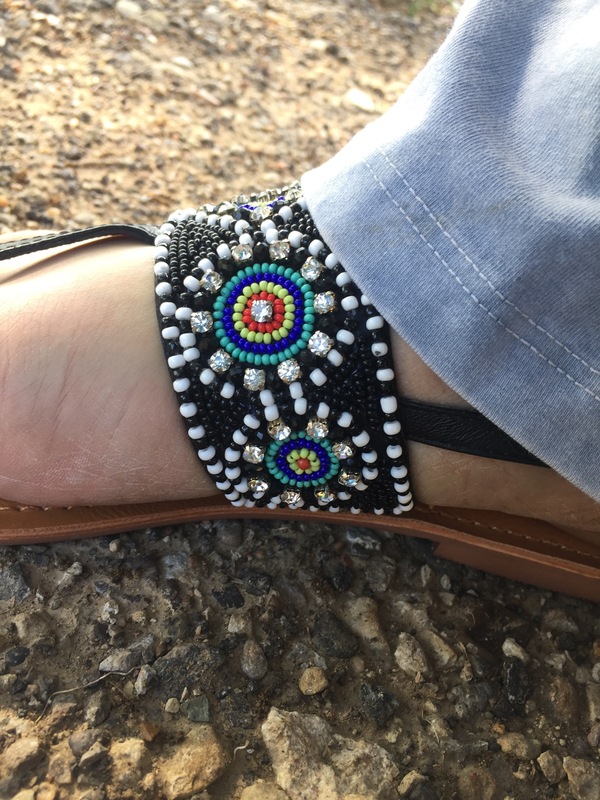 Look at the details on these sandals I love the rhinestones mixed in with the beading to give it a little pop of bling bling! I think its true give a girl the right pair of shoes and she can conquer the world! We you feel confident in what you wear it brings out this extra confidence to how you carry yourself. This is why it is so important to love or even be happy in the clothes you wear. There is something for everyone, every style and every size you just have to find what makes you, YOU! Try different styles different pieces, shoes, accessories, fun shirts, etc. Whatever it is, find what makes you happy I love shoes and love a great fun dress! These are just a few pieces that I just love to rock with some extra confidence. Everyone is different so start searching for what makes you happy and what better place to check it out than Follow Your Arrow!! 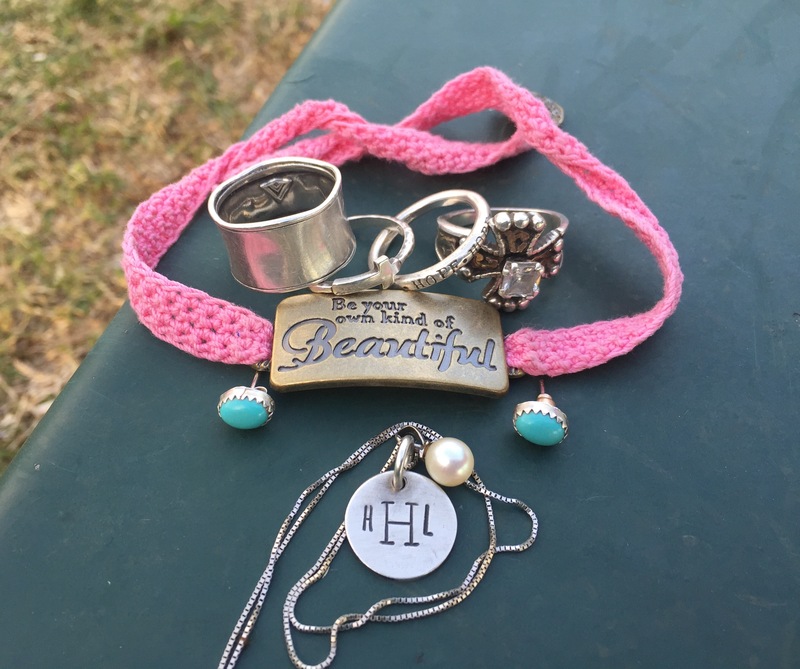 Kelli has some great prices and fun pieces!! Head on over and start searching for your key pieces!! Remember to always be confidently you! Happy Tuesday Y’all! It’s Follow Your Arrow Tuesday!! Who else is excited?! I know I am!! Today’s piece is just stunning and I can’t wait to share it with you! As we all start into this Easter Week I wanted to bring my Sunday Best! I love this piece and all the amazing colors in it. 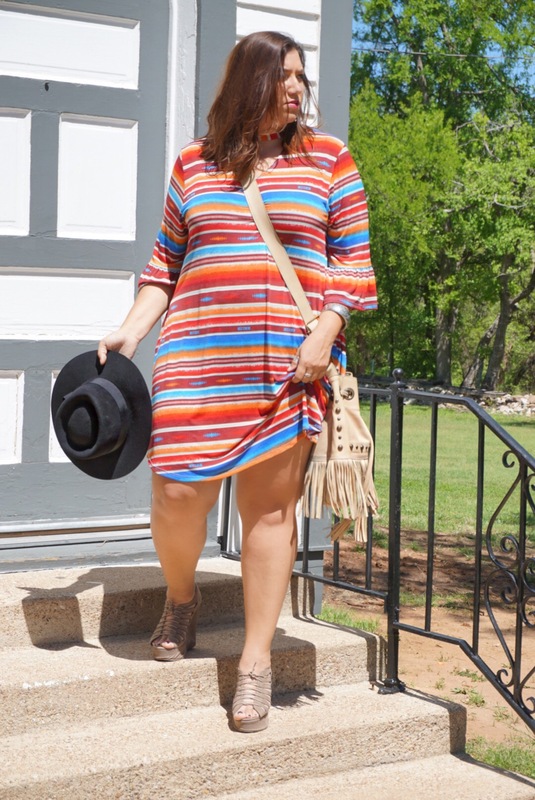 This dress has a deeper tone the normal bright serape colors. It has a choker type of neckline with a small v cut out, the sleeves have a small bell to them to as an added fun factor it has pockets! 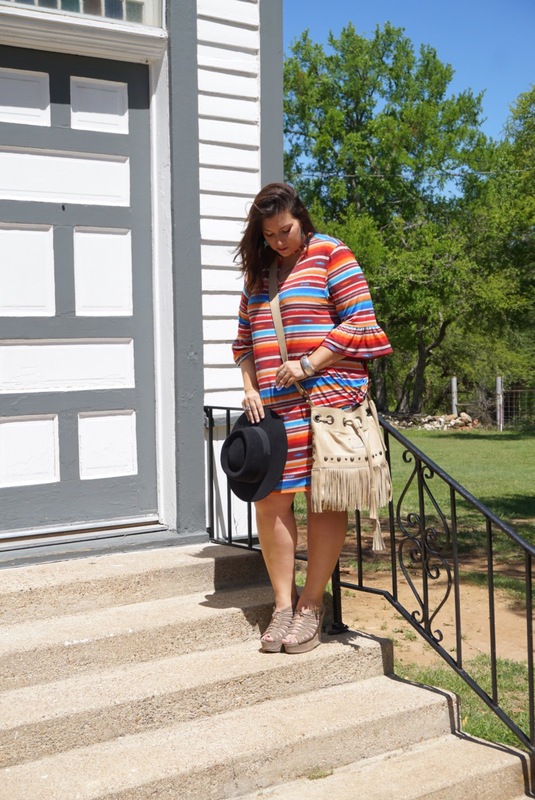 I paired this dress with my custom War Bonnent Hat, my favorite pair of wedges and of course you can’t forget the purse! 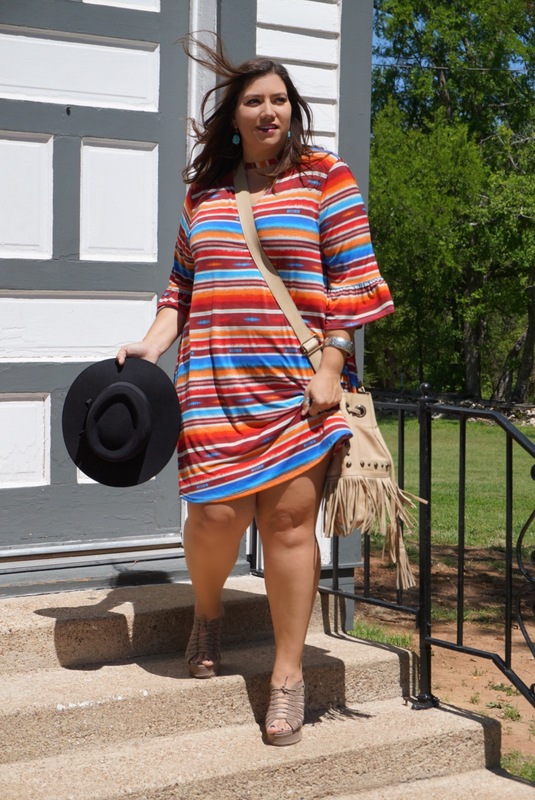 This dress can be styled a couple different ways. You can add a fun concho belt to pull in the sides and give you some more shape, or if it’s a little cooler add a fitted jean jacket!! You can swap the wedges out for boots or even booties too, or add flip flops for a more casual look. This is why I simply just love dresses the choice is yours to how fancy or laid back you want to be, but either way you look classy. Dresses are much simpler to wear because it 1 piece! Haha you don’t have to worry about jeans and a top you just through it on and roll!! So now what?? It’s time to buy the dress girl!! Click the buy me now link below! Girls this dress is only $35 that’s a steal for the quality this dress is! So hurry over and grab it before it’s sold out!! Thank you again to Follow Your Arrow boutique for this fun collaboration! We have 2 more weeks of fun pieces to feature!! Remember to keep stylin’ and smilin’! Happy early Easter He Is Risen! Guess what day it is?! 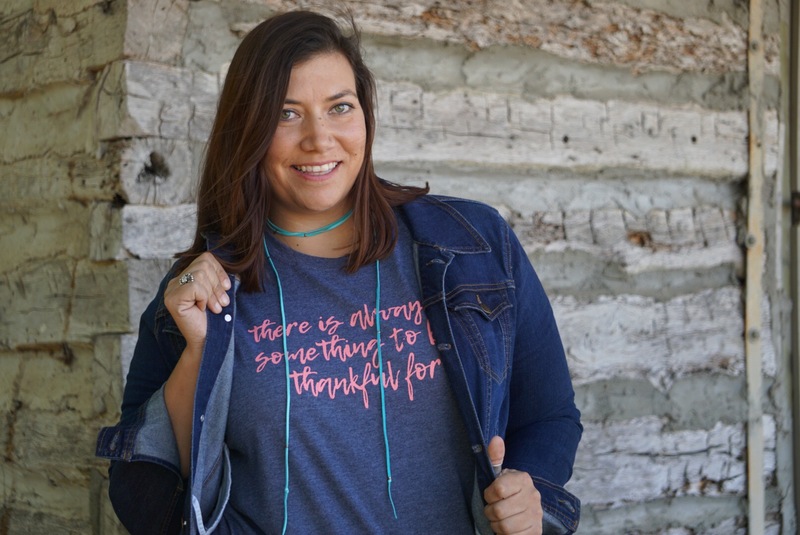 You’re right it’s Tuesday which means another feature from Follow Your Arrow Boutique! I am excited about today’s featured piece because not only is it soft but its functional and can be dressed up and down! Any guesses as to what it is??? PJ’s? No but you can use it for that at the end of the day! But, it is a Tee! 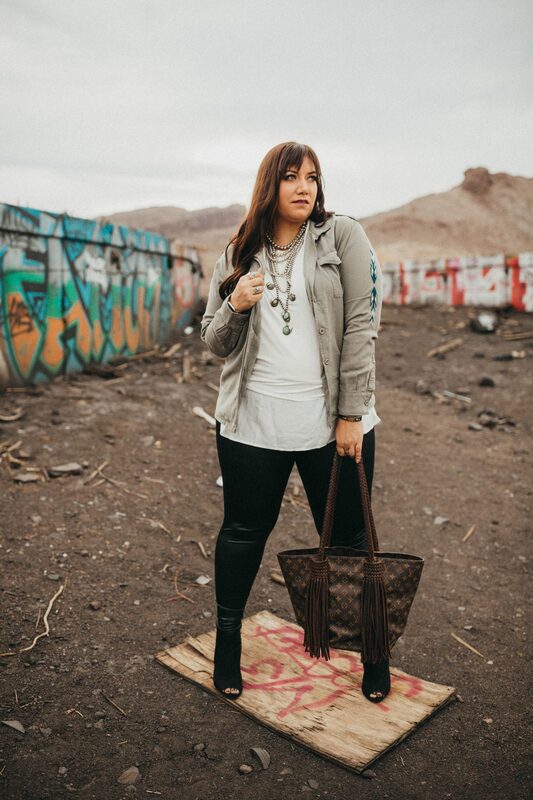 Keep scrolling down to see this fun piece and how I styled it for today and going to a baseball game! 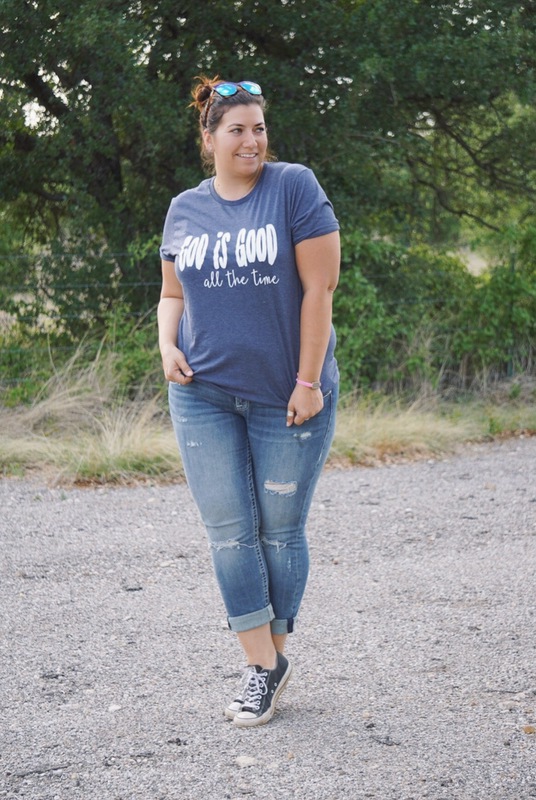 One of my favorite things about a graphic tee is that you have a chance to express yourself through what is on your tee! 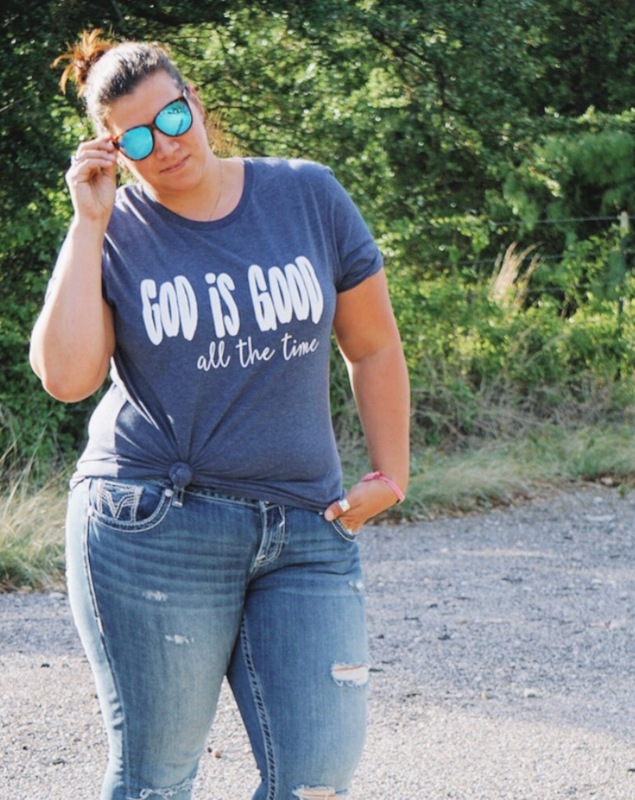 Today’s FYA tee is a tee is designed by Spirit & Tribe and says “God Is Good, all the time”! He sure is and just a little FYI all the time God Is Good! Right?! Haha Now I am humming the song! I’m truly grateful to have all I do have and get to sit here and watch my nephew play baseball while I Blog to yall! Today I went casual chic which is defiantly allowed but their a little Details you can add to make the look complete and not just well like your ready to go to bed. I paired my tee with fun ripped jeans, my ever famous converses and as for my assoceries my every day essentials! Check below for details!! Today order this fun tee and other Click Here! Cute right?! Love this top! In the second photo I tied a knot to add just little extra somethin’ somethin’ ! Below is my everyday essentials right now! Each price actually holds a little bit of sentimental value as well! But that a whole other blog because you would be reading the rest of the night and need a cup of coffee!! Haha but as we bring tonight to a close remember not matter what style you are wearing wear it with confidence and grace!! Check back next week for another fun piece you won’t want to miss from Follow Your Arrow! Here’s a hint they go on your feet and sparkle a little! !